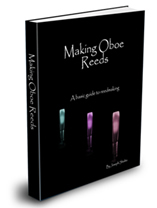 Here is a list of oboe and oboe related books. To be honest, I have not read all of them, and some of them I didn’t know existed. They all look very interesting however. So with that little disclaimer in mind, here is a small list of oboe and oboe related books available.